Shop with SIFAT for the Holidays! As you start shopping this holiday season, please remember SIFAT! We have several ways you can help SIFAT during this holiday season of giving while checking names off of your holiday list. Find unique gifts for your friends in family at the SIFAT Village Store. From books by SIFAT co-founders Ken and Sarah Corson and SIFAT t-shirts to Christmas angels and jewelry, the SIFAT Village Store lets your purchase impact others throughout the world. 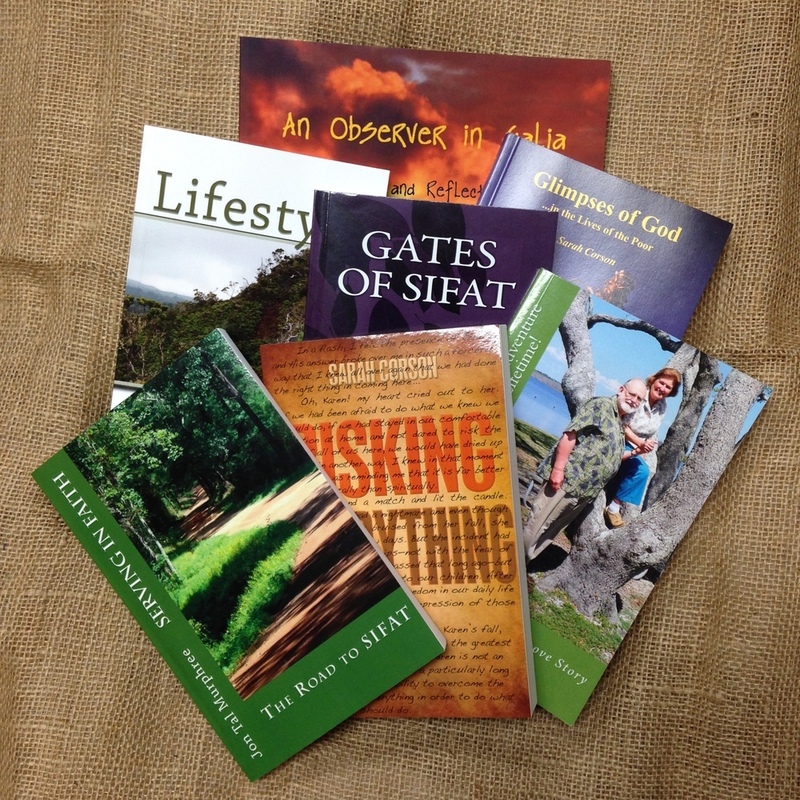 Proceeds from each purchase benefit SIFAT and those with whom we serve. Our online selection is limited, but if there are items you have seen in the store, email villagestore@sifat.org. If you are local and would like to come shop, call Marie or Peggy at 256.396.2015 to schedule a time. The SIFAT Village Store promotes family businesses and cooperatives. Proceeds from sales directly benefit SIFAT! Raise money for SIFAT when you shop online. Did you know thousands of retailers will donate a percentage of your purchase to SIFAT? Use one of the services below and choose SIFAT as your charity. You will be redirected to your favorite store’s site to shop as usual. When you check out, the retailer sends a percentage to SIFAT, but you are not charged extra! Often special coupons codes are also available for your use on GoodSearch and iGive. Because of SIFAT supporters, Dr. Rebeca not only graduated high school, but furthered her education to become a dentist! She has joined Dr. Ruth Noemi to serve the Bolivian people in Quesimpuco and the surrounding communities as they implement a public health initiative. In lieu of a traditional Christmas present, why not give your friends and family gifts that impact others throughout the world? During 2016, SIFAT has held training both here in the Alabama and internationally to train community leaders how to meet their basic humans needs and look for available assets that can benefit those with whom they are working.